On holidays in Vietnam the people don't work. Should a holiday fall on a Saturday or Sunday, the day shift to the Monday afterwards. The Vietnam Holidays tell strangers to keep the history of Vietnam alive. It's also time to keep all day free for deeper matters of the spirit, or the family and the country. 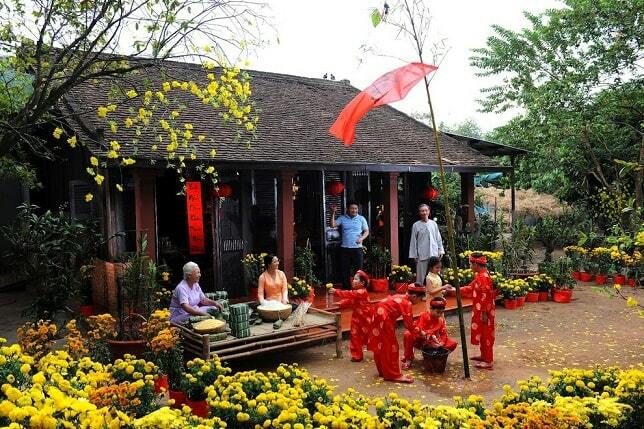 The traditional holidays of Vietnam are counted according to the Chinese lunar calendar. The most important religious holidays are Buddhist holidays. On Buddha's Birthday bring the Buddhist followers offerings (fruit, vegetables, flowers, incense and candles) in the pagodas. The sacrifices may only be vegetarian. Once a year there's also a special treat for children, the mid-autumn festival. 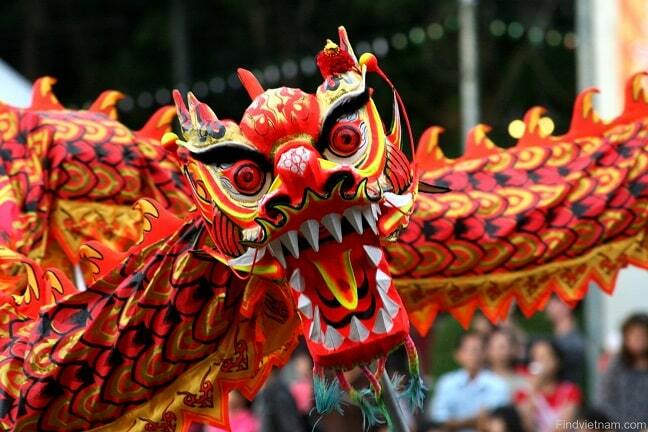 At this party children have lanterns, there are colourful see lion dances and dragon dances or special dishes to eat. A very special dish at this festival is the mid-autumn festival cake. But also adults join this party. The most important celebration oin Vietnam is the Tet-festival or Vietnamese New Year (it is at the same time as Chinese New Year). 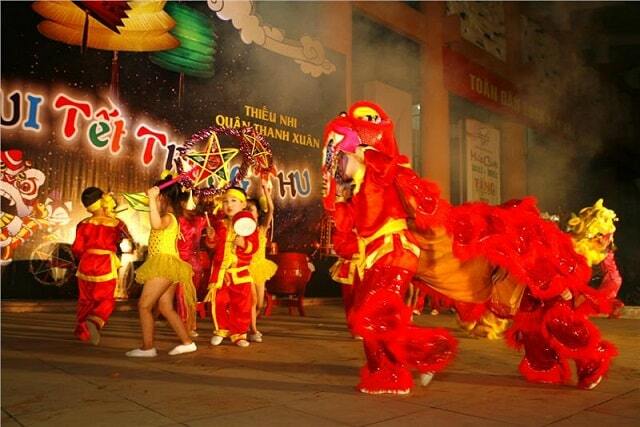 The Tet festival lasts officially three days, and many Vietnamese have one week off. Festivities are organized such as parades, dragon dances, fireworks and flower parades, but mainly it is a family celebration. The Vietnamese people travel throughout the country to visit their families and eat special meals. The new beginning of the year also includes new clothes, homes are thoroughly cleaned and they refurbish the graves of the ancestors. Most shops and many restaurants are closed during Tet.